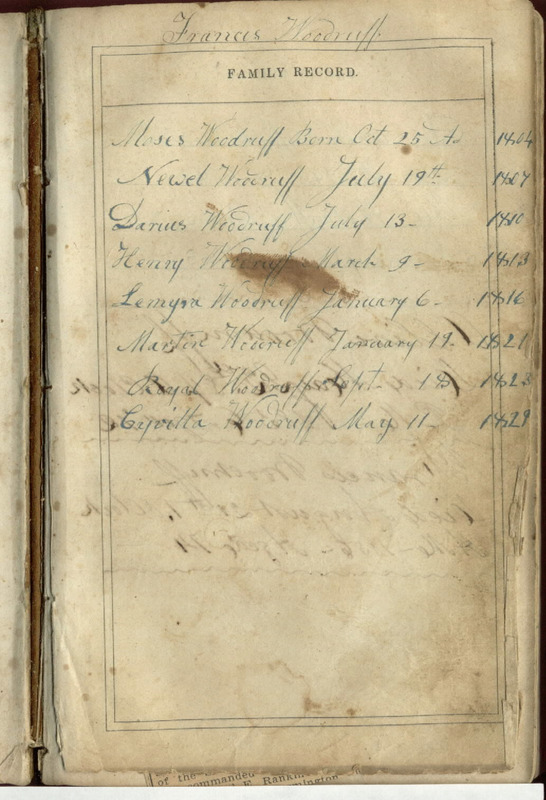 Submitted by and in possession of Sandy McGraw- Ct.
(1828 +/-) practiced writing his name and the words in square letters THE HOLY BIBBLE. Also on the back page Ada practiced her name. 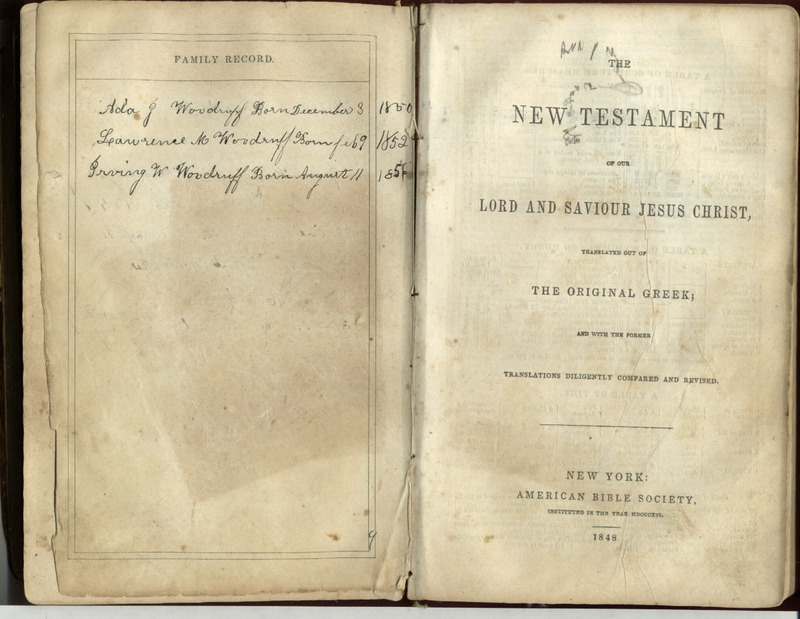 The Bible came from the home of Helen Hayman of West Hartford, Ct."
The Holy Bible, New York, American Bible Society, 1848.